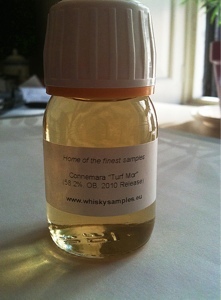 The Coopered Tot: Connemara Turf Mor shatters boundaries. A massive bull in the Irish china shop. 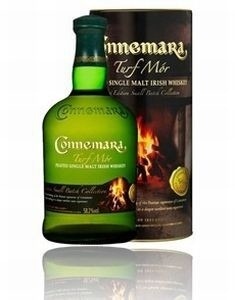 I'm a little saddened - I did not know that Connemara was not peated in Ireland with Irish peat. That's a bit of a let-down and a bit misleading by them, I think. Me too. It appears as if they source the peated malt from Scotland, so the malt too - not just the peat essence - is Scottish. This goes a long way towards addressing how Scotch-like and un-Irish-like Connemara whiskies are. That, and the double distillation. I wonder if someone at Cooley would confirm this? Send me a note if they ever do respond to the contrary! I would be curious. Honestly people,...quit the politics and just enjoy it for what it is. That being one of the most unique and fabulous drams one could ever have the pleasure and privilege to savour, if you were lucky and smart enough to purchase if it became available for you to do so. If not, your loss and too bad for you. It's "politics" to want your peated Irish whisky to come from peated Irish malt? That's just dumb. Merry Christmas, unknown.